Welcome back to school again. But are you ready? The vacation break has elapse much faster than you expected and you’re already in the new semester. On one hand you are relaxed and motivated. On the other hand, you may also feel unprepared and already stressed by the idea of ​​learning. Now that the new semester has begun. No longer sleep every day, you’ll have to set the alarm clock and then go to the university and sit in the lecture all day. Already, long hours lectures have been made for you, which you must attend to excel academically. And now you might ask yourself the question: Am I ready for the new semester? I’ll show you the 3 things that you should pay attention to begin the new semester. You don’t have to stress out. That may sound boring and unnecessary at first. Why worry about the semester, now that the holidays are just over? In the end, it’s more stressful to think about the exams now. Wrong thought! If you create a plan for your semester right from the start, you’ll even reduce your stress level! Instead of suppressing the thoughts of the exams and thereby develop a queasy feeling in the back of your mind you confront them with confident! This makes it much harder for fear to settle within you. You know from day 1 what awaits you in the coming semester. How do I achieve my goals for the semester? No problem, because you know exactly when and what you have to do for it. As a result, you can finally enjoy your free time without developing a guilty conscience, because you have finally earned your free time! And how is this supposed to work? Do not worry, the semester organization is nothing for which you need a lot of time. You do not have to create a complicated Excel spreadsheet or deal with it every day. Your semester organization is more of a thing you develop throughout the semester. Every now and then you think about it and bring your planning up to date. Which subjects do I have this semester? Do you already know which subjects await you this semester? If not, just read through your student handbook (should contain a list of courses to offer during the semester) descriptions or talk to your fellow students in higher level about how they found the lectures. The more you already know about the course content, the easier it will be for you to follow the lectures because you know the common thread. How did the other students find the lecturer and the course? Did the lecturer in class always read only notes or did he really help? If you know that from the beginning, you can save a lot of time. If the Lecturer doesn’t treat the course well enough, from the start you might choose to attend tutorial classes that has helped all other students. If other students (your senior colleagues) found the lecture very helpful, you could make up your mind to drag yourself into the lecture on bad days and take everything with you. This will improve your grades and save time. Organizing the semester is the first thing to do! If you notice that this semester does not favour your extracurricular activities, you should immediately start enjoying before lectures begin. Watch the video below to learn more about how you can get organized and maintain long-term motivation for the new semester. Even though you have to stick to your timetable from the beginning of the semester. 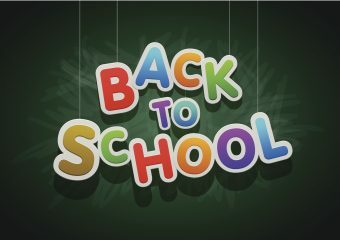 Honestly, it will not hurt you to enjoy the first week, because most times lectures will not begin the first 1-2 weeks. Chat with your friends about the events of your recent vacation, party or just stay in bed and watch movies all day. As nice as the second tip was, eventually the reality will catch up with you and you should find your way around it. To avoid “Had I Know” at the end. Here’s the tip you do not want to hear: Stay on top of the game. Nothing is more annoying and depressing than having limited time to read up collection of 10 handouts, 50 stacks of books and tons of lecture notes from your lecturer. To avoid this, it is best to set a few goals from the beginning. How should your goals look like? That’s your decision alone. Do not set your goal too high, so that you can keep it even in stressful times. For example: “I want to solve a math problem every day”, “I’m learning at least 15 minutes every day this semester” or “I’ll reserve every morning on the weekend for school work”. I have to admit, it’s not that easy to keep goals Ok! But you can if you think you can. There is a star in the sky for us unmotivated students. Some brain researchers assume that it takes 30 days to get used to something. To accustom oneself means that you no longer have to overcome and torment yourself every day, but you are leading the new habit on your own. For example, if you set a goal of learning 15 minutes each day, it may be hard to find the motivation to actually sit at your desk for the first 30 days. After that, it should go by itself! Whether that works or not, just try it out. Follow your set goals on 30 consecutive days. If it works: great! From now on you will not have any trouble finding your motivation. If not: hmmm, read this. At least you’ve followed your goals for 30 days now. Maybe you think twice about canceling this race!